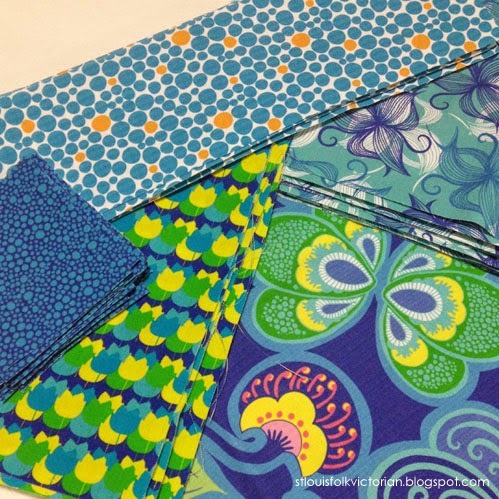 Little did I know that I would be doing more sewing for Quilt Market, and with such a quick turn around time. 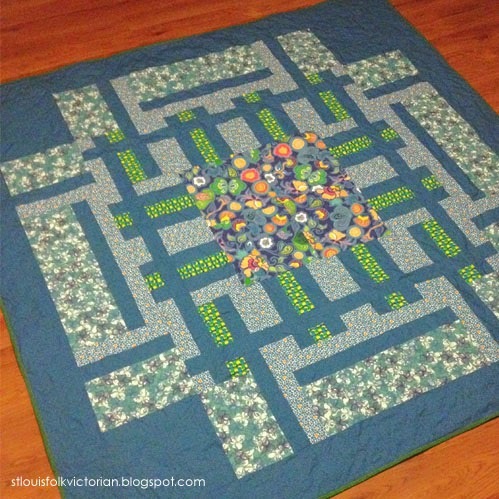 The lovely folks from Windham Fabrics contacted me asking if I would sew up the PATHWAYS quilt that I had designed for them a few weeks prior using the new Spring Bloom collection; which premieres at Quilt Market and is available to the public, April 2015. To be honest, I took one look at my To-Do list and thought to myself, "There is no way that I can do it." but then I remembered that these opportunities can go away at the snap of a finger...so you can probably guess what it is that I decided to do. I'm not going to tell you that it was easy, especially considering that I was working with digital fabric; which if you have never used or seen it...it has a mind of it's own. 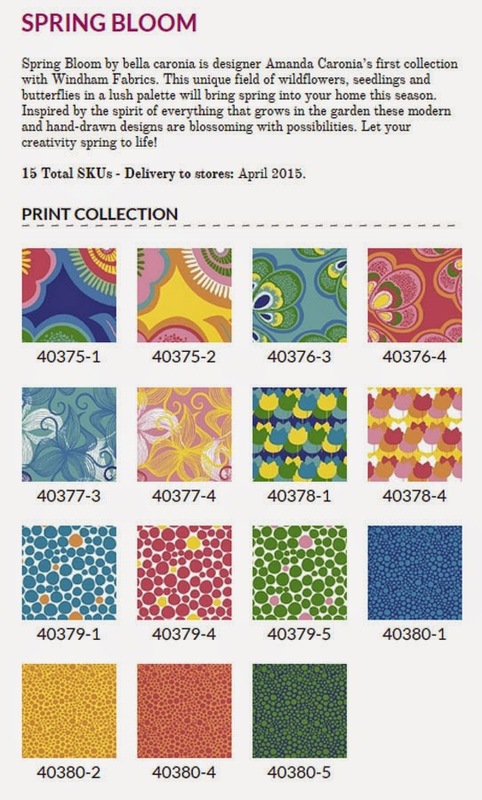 It is a stiff, temporary (cannot get wet) cloth that is digitally printed, allowing manufacturers to see color, scale and in some cases is used to make items for selling practices (say Quilt Market). Crazy fabric aside, it was a worthwhile experience and I'm glad for the opportunity. Here is a quick snapshot that I captured right before I packed and shipped the quilt this past Monday; which reminds me that I need to change out the light-bulb in that room so it's not so yellow. If you are attending Quilt Market and see this "in the wild", would you please snap a photo for me. that fabric sounds like a nightmare! Can you iron it with steam or does that also mess with the ink?